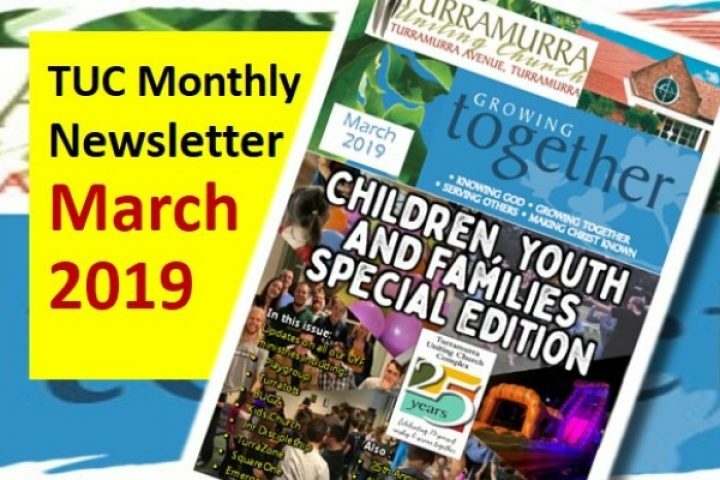 Featured in the October Issue of Turramurra Uniting Church Newsletter: Good News Stories! 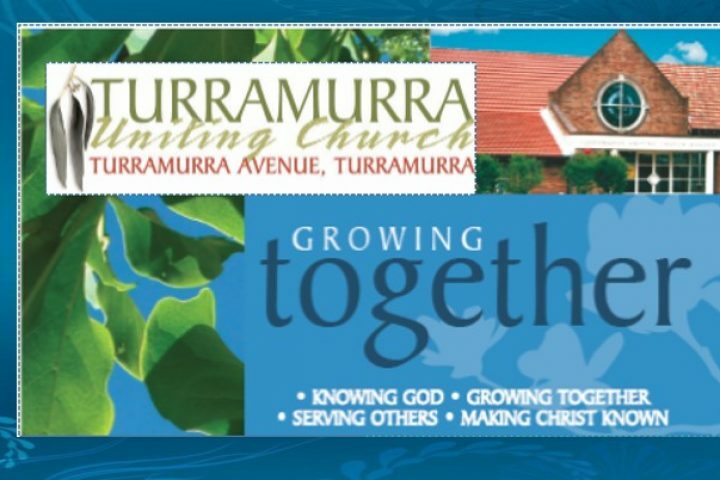 HSC Prayer Brunch What’s happening in October and more.. 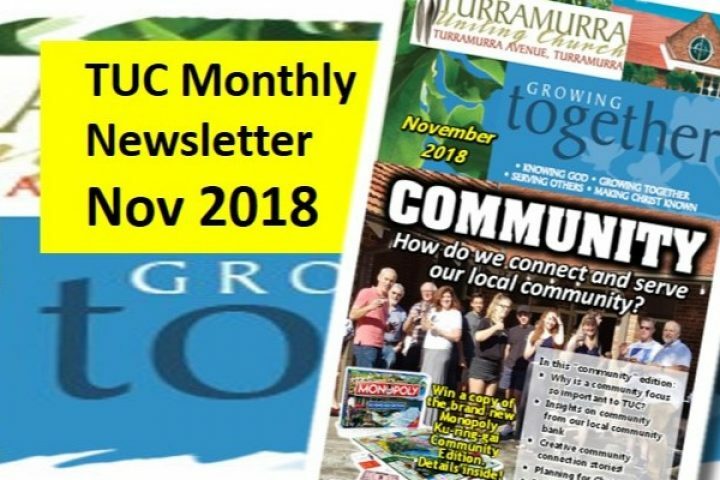 The newsletter for October is available now. Download here. The Calendar for October is available now. Download here. 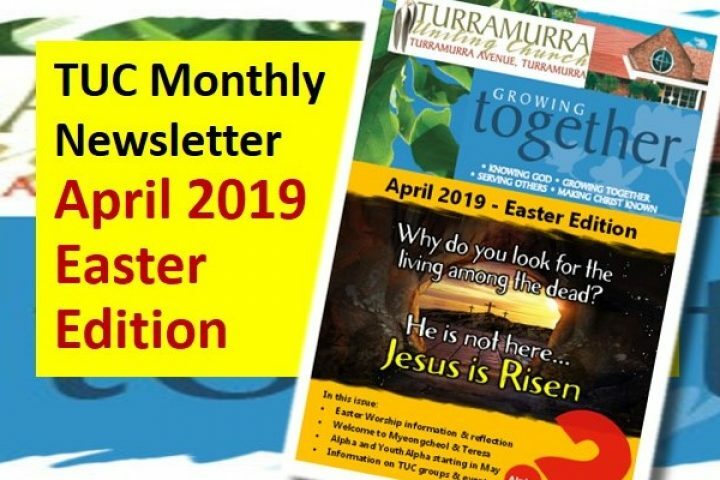 Featured in the September Issue of Turramurra Uniting Church Newsletter: September – a month for Thanksgiving Moving forward with the marriage decision from the 15th Assembly HSC Prayer Brunch What’s happening in September and more.. 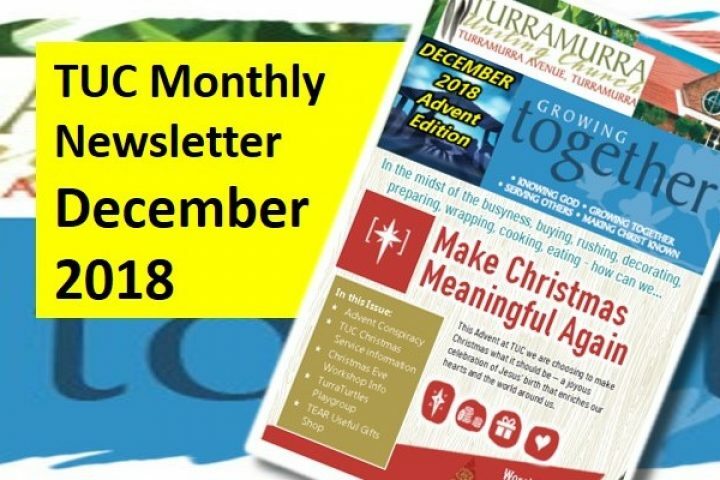 The newsletter for September is available now. Download here. The Calendar for September is available now. Download here. 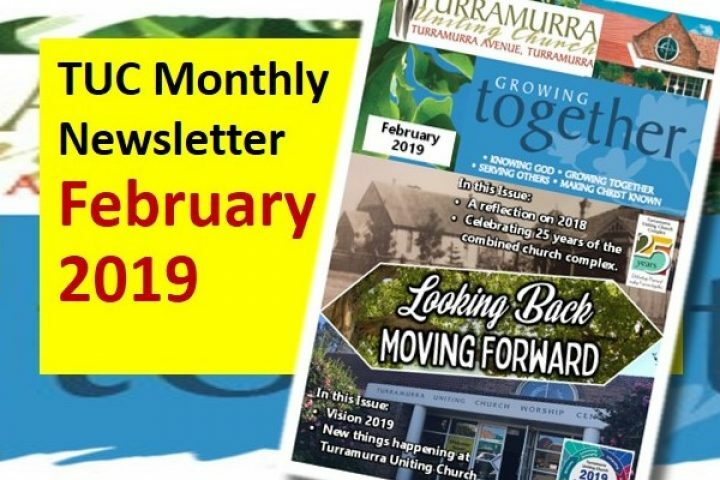 Featured in the August Issue of Turramurra Uniting Church Newsletter: Welcome to Jonty Cornford – our new interim Children, Youth and Family Worker Mission Priority Updates Update from the 15th Assembly Report from the Dementia Discussion Day What’s happening in August The newsletter for August is available now. Download here. 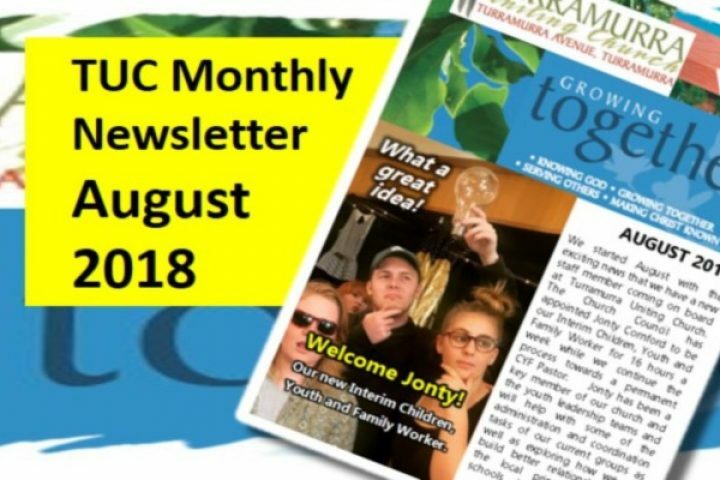 The Calendar for August is available now. Download here. 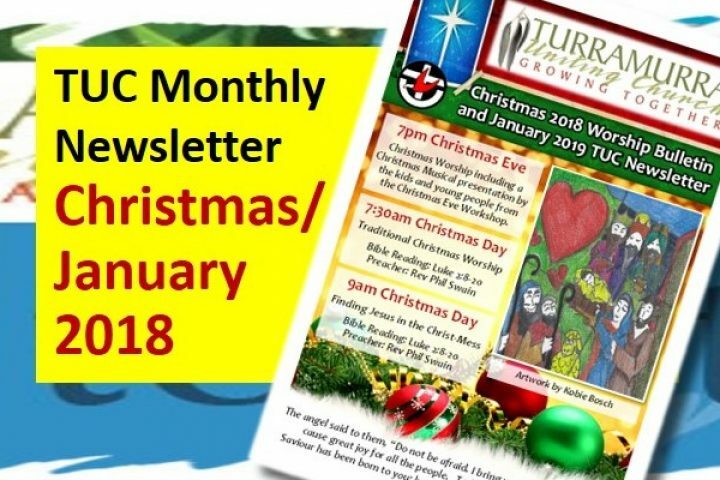 Featured in the July Issue of Turramurra Uniting Church Newsletter: Sabbath – TUC’s Take a rest July Update on our Children, Youth and Family Pastor Position What’s happening in July Report from our Congregational AGM and Church Council Meetings Update from the five mission priority action teams The newsletter for July is available now. Download here. 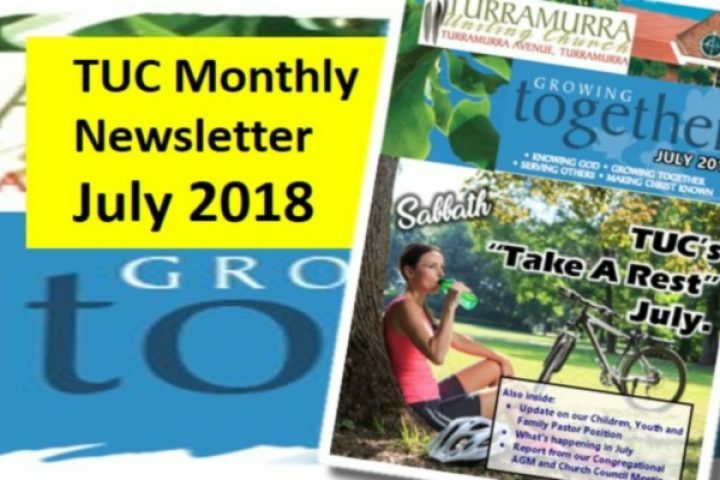 The Calendar for July is available now. Download here.